Chinese television drama Martial Universe <武动乾坤> invited the press over to their set in Xiangshan this weekend. 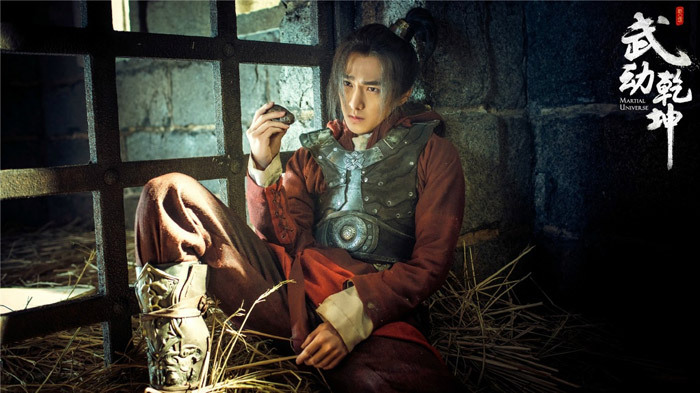 The epic xianxia drama, which stars Yang Yang (杨洋), Crystal Zhang (张天爱), Wu Chun (吴尊), Wang Likun (王丽坤), and Ashton Chen (释小龙), tells the story of a young man who is thrown into a world of martial arts and power after he comes across a desired magical artifact. It is adapted from the novel of the same name by Tian Can Tu Dou (天蚕土豆). Once Upon a Time <三生三世> actor Yang Yang stars as the story’s main protagonist Lin Dong, a strong-willed village boy who is determined to avenge for his crippled father. In his adventure he encounters new friends and allies, and gets into a love triangle with Crystal Zhang and Wang Likun. Yang Yang’s dedication is no passing thing. 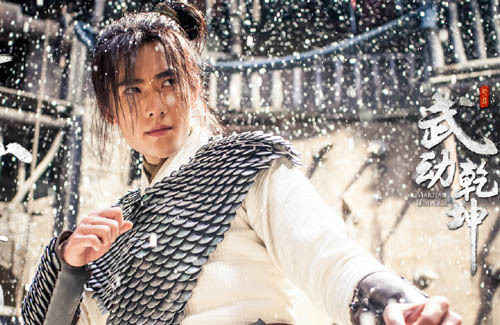 Because of his filming commitments for Martial Universe, the young 25-year-old actor ended up turning down a role in Zhang Yimou’s (张艺谋) new film Three Kingdoms <三国>. The movie is to star Gong Li (巩俐), Deng Chao (邓超), and Zhou Dongyu (周冬雨). it was certainly a big misopportunity but he’s still young, he’s got a couple of years before he really has to start pulling away. the one i am concerned is danson tang, he’s in his almost mid 30s and still not shy away from those idol drama roles. but you then look at hawick lau and wallace jong, they are in their 40s, still doing idol drama….